Avoiding nutritional insufficiencies takes a postive approach to wellness, while the Recommended Dietary Allowances are about negatives. The RDA for nutrients and vitamins is political. They wont help you to get well. The concept of a Recommended Dietary Allowance first developed during World War II. While for the time, RDAs were a good start, today they are based more upon the financial interests of the AMA, or conventional medicine, than they are upon real science. Avoiding nutritional insufficiencies is a good way to improve your health and wellness. Frankly, all nutritional research studies that allegedly document the dangers of taking nutritional supplements are suspect. While every good thing obviously has a limit, there are clearly financial incentives for medicine to promote the use of their deadly prescription medications over the use of vitamins with fraudulent research that is full of scientific deception. Talking about vitamin deficiencies is out, while nutritional insufficiencies are in. RDAs are about avoiding third world diseases. Natural health is about promoting wellness. When talking about the benefits of taking nutritional supplements, the use of the term "insufficiency" should always be preferable to "deficiency." With nutritional insufficiencies, the stress is upon the maximum safe limit, whereas RDA deficiencies stress taking the minimal recommended amount. It is time for everyone to reconsider the health benefits of orthomolecular therapy. Orthomolecular therapy is the use of vitamin, mineral, amino acid, or hormone supplements to prevent or treat health conditions. See the hour long audio interview of Andrew Saul, PhD, under References shown at the very bottom of this article. While super-foods are an oxymoron, super-supplements are for real. 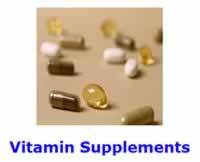 In fact, the Natural Health Perspective maintains that the only supplements worth taking are super-supplements. The general rule of thumb is that a healthy whole food diet should always be your first choice for obtaining good nutrition. Nevertheless, there are exceptions to this guideline. Vitamin C, ascorbic acid, is the most well known vitamin that costs less than the equivalent food. Everybody who buys groceries knows just how expensive oranges are. While the nutritional supplement companies have figured out how to turn a dirt-cheap vitamin into an expensive product, such as Ester-C, those in the know, know how to get good deals on this vitamin. Another good rule of thumb is taking extra vitamin C whenever you are sick. Orthomolecular therapy with ascorbic acid can cure an amazing number of different health conditions, so much so, that a formal diagnosis of what ails you, is often NOT necessary at all. Everyone interested in natural health should always keep plenty of this super-supplement on hand, in order to avoid expensive trips to your doctor. The required amounts of Vitamin D, for example, simply cannot be obtained from eating a healthy whole food diet. Synthesizing Vitamin D-3 from the Sun is NOT physically possible for most people most of the time, nor is it more practical. In other words, taking a vitamin D supplements costs less and is faster than trying to do it the natural way. In short, taking a vitamin D supplement is a very practical way of avoiding just about every chronic disease imaginable in your lifetime. Another example would be taking a vitamin B-50 tablet daily as a practical way of avoiding vitamin insufficiencies of most of the B vitamins for those who do NOT like the taste of greens, or are unable to eat their greens on a regular basis, for whatever reason. Another exception would be the use of nutritional supplements to treat, or manage, health conditions. The MSM (methylsulfonylmethane) supplement, for example, is usually beneficial to those suffering from arthritis, or as a knee injury preventative for those who regularly jog. Otherwise, taking MSM supplements would be rather pointless. In conclusion, the Natural Health Perspective advocates the intelligent use of nutritional supplements. Unlike the natural hygiene movement, there is no drug prohibition against the use of nutritional supplements in Natural Health. 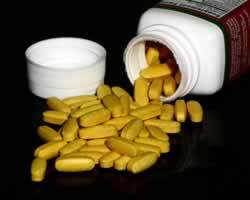 Be sure to take the super-supplements that fulfill your particular health needs, on a regular and consistent basis. While taking nutritional supplements on a regular and consistent basis takes discipline, they are the easiest way that anyone can improve their health. Supplements are the closest thing to a quick fix, offered in natural health. Dr. Saul in a hour long phone interview talks about the media's ridiculous scare tactics about using vitamins. Andrew says we can use nutrition to cure illness and brings up evidence in published medical reports dating back from the 30's. These results are being ignored by the medical and pharmaceutical industries. Dr. Saul believes death rates would be cut down by 50%, if people only ate properly and got enough nutrients.